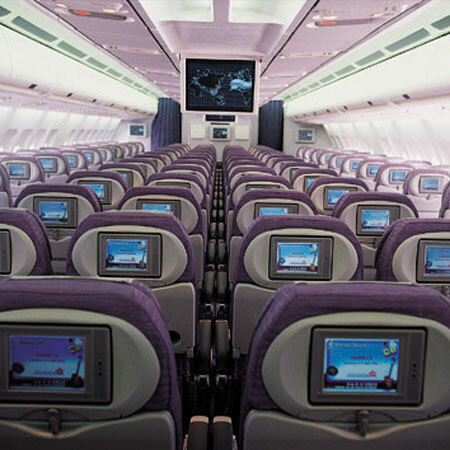 This Program is a long-term, preferential program initiated by China Airlines. It offers their members a range of considerate, value-added services. At China Airlines, we make traveling easy and fun by offering a wide range of products and services as well as many ways of earning mileage. Upon completion of flying and accumulating four individual non-zero-mileage international flights with China Airlines/Mandarin Airlines (Co-share flights are excluded) during Jan 1 – Dec 31, 2019. For Existing Courtesy Gold Card Members and the members whom had experienced Courtesy Gold Card Membership, Please follow the normal Gold Membership Upgrade and Renewal Standard shown on the China Airline website. Please note AmCham is not authorized to handle applicants’ personal mileage revision or inquiry due to “Personal Data Protection Law”, if needed, please contact China Airlines Service center at 02-4129000. China Airline reserves the right upon receipt of the application to accept or reject based on the existing Superior Card members’ frequency of travel and the ticket fare & class with China Airlines/Mandarin Airlines. For remaining existing Superior Card members’ benefits and global VIP lounge quality, China Airline reserves the right for processing the application. We sincerely appreciate your kind understandings. Step 2: Make sure to input your Dynasty Card Number in your reservation through travel agent/airport check-in agent while flying with China Airlines. Step 3: Email the completed application back to AmCham by December 31, 2019. This program is special offer to AmCham members and one of their family members. The Superior Membership will be valid for 2 year from the date of issue. (1) Other SkyTeam airlines, or Co-Share flights—operated by other airlines’ aircraft. (2) Accumulating mileage in a non-China Airlines’ Dynasty mileage account. (3) Flights to any destinations with free or group tickets during. (4) Flights to any destinations with booking classes 0/Z/X/L/G/S and Zero-mile classes. Please fill out all the blanks to make the applying process smoothly. AmCham Taipei will submit the application to China Airlines. Please, kindly be advised that China Airlines is the issuer of the Superior Membership and other conditions may apply. The company reserves the right to accept or reject it anytime. The event code and password will be sent to AmCham Members by email or upon request. tickets only and the maximum discount is up to 2% of the website fare. A Maximum of four passengers (including children) for each purchasing, of which one must be adult. This system does not allow booking to upgrade to business class by using mileage redemption. If you need to make a booking for U and I class, please contact Dynasty Flyer Hotline at 412-9000 (02-412-9000 by mobile phone) to make a reservation.